I am really happy and excited about just selling this property located in Oxnard’s premier neighborhood of Riverpark located at 319 Forest Park Boulevard in this beautiful coastal. The Townhouse SOLD for $276,499 in a period of about 5 months due to the contingency, as well as special requirements that both families had to meet. Now you may ask why this property sold for this particular price- it is primarily due because the property is part of Oxnard’s affordability program. Both families in, order to buy and sell, needed to meet certain criteria set by the city guidelines. 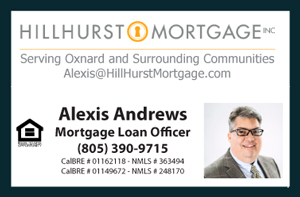 The City of Oxnard accomplished its goal- to provide affordable housing through downpayment assistance as well as keeping the sale price of this property below market value. Most properties similar to 319 Forest Park Blvd sell for $300,000 or more depending on the condition, amenities, style, location and more. This is an excellent townhouse with move-in-ready conditions. It features three bedrooms, two and a half bathrooms, two levels, all rooms upstairs with a private balcony off the master bedroom. This home also featured a remodeled kitchen with granite countertops and vibrant backsplash, laminate wood flooring, custom baluster, attached two car garage with driveway and an affordable HOA of approximately $240 a month that maintains the beautiful Green Landscape. The townhouse has all laminate wood like flooring on the first floor and on the stairs. The carpet is all upstairs with a private balcony off the master bedroom overlooking the Greenbelt towards Forest Park Boulevard. The home is conveniently located only a few blocks from The Collection, one of Oxnard’s newest and most popular shopping and entertainment destination with newer restaurants, coffee shops, supermarkets and fashionable store boutiques. The property is also near the 101 freeway which makes it a desirable place to live for families that commute to work. The community of Riverpark in Oxnard, CA consists of condos, townhouses, and single-family homes with a well-integrated neighborhood. At the center of the community is The Collection with a popular entertainment center, shopping destination, and dining area. Riverpark is also surrounded with dog friendly parks and walkways providing a beautiful atmosphere for the neighborhood. This area has become an ideal place to Live, Work, and Play all in one!